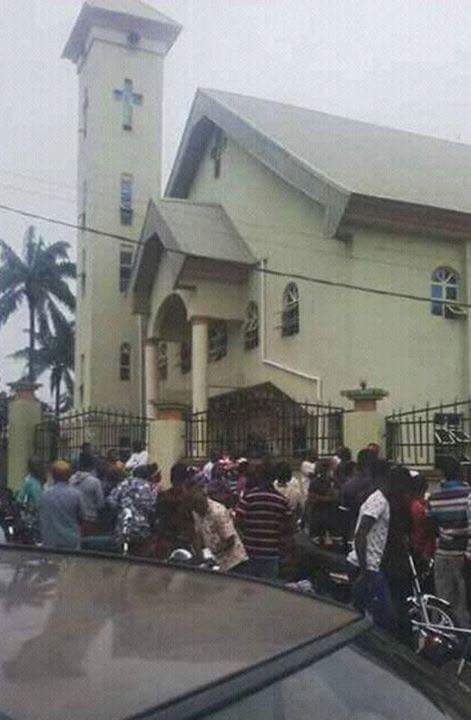 There is tension in Anambra State following reported death of 7 worshipers as gunmen launched early morning attack during a Sunday service. The attack occurred at ‎St. Philips Catholic Church, Amawka- Ozubulu, Anambra state. 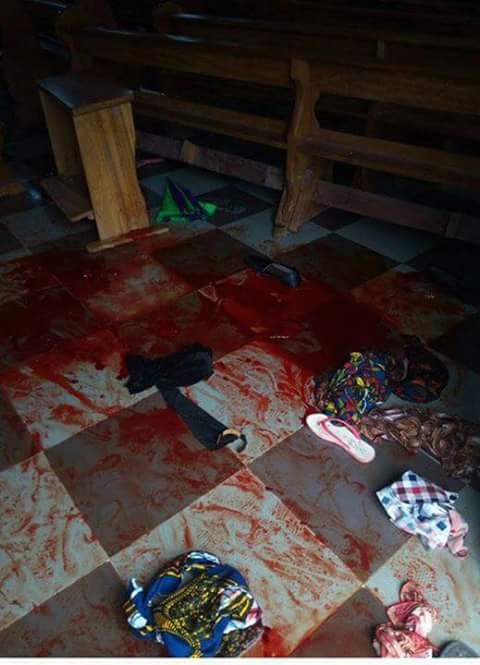 Photos from the attack show a pool of blood on the church floor. 18 others were injured, sources say. 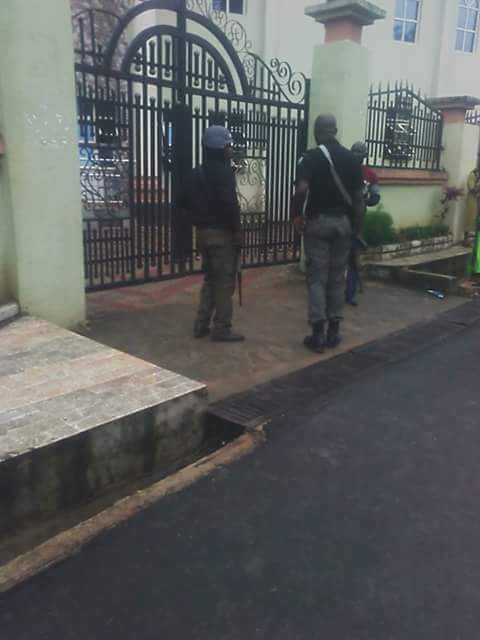 Locals in Ozubulu told Daily News Lagos that the attack was triggered by a drug lord known as Bishop, whom after a getting paid for aa hugr drug deal, did not pay his partner. The unknown partner allegedly launched the attack on the church after getting news that Bishop was going to be in church this morning. It is being peddled around that Bishop built the church with drug money. Locals however claim Bishop arrived Ozubulu over the weekend for a relative’s funeral, but left the town without anyone’s notice. Among the dead are a husband and wife who came to dedicate their son in church today. Locals say all three died in the attack. Armed officials have surrounded the church building.